CAFE BLUE UNMASTERED: TAS RECOMMENDED! November, 2016: The Absolute Sound gets it. This is exactly where we are coming from with all of our re-issues. Thanks Gus Skinas and thanks Absolute Sound. August 16, 2016 Thanks to TheAudioBeat.com for this. July 18, 2016 Thanks positive-feedback.com for this. ANOTHER NICE REVIEW OF CAFE BLUE UNMASTERED! April 18, 2016 Thanks hraudio.net for this. May 19, 2015 A sad day. Bruce Lundvall was an extraordinary guy and a true inspiration.. We felt privileged just to be around him. Today, October 3, 2014, would have been Von Freeman's 91st birthday! He is greatly missed. September 30, 2014 ... Thanks to TheEar.net for their wonderful review of our new LP pressing of Patricia Barber's MODERN COOL. Awarding the release 5 stars with the designation: Audiophile Vinyl “HOT PICK”, wasn't enough: "The vinyl delivers a presence in the room that is palpable, with a decent system you can dim the lights and be there in the moment. Premonition ‘s Barber recordings have always been top notch, but this remaster moves the goal posts – Doug Sax, for it was that master of mastering, has still got it." We work so damn hard on these things. It's nice when someone notices. Beginning Monday June 30, 2014, Patricia Barber's modern cool will be available on 180-gram vinyl once again. This is another in our recent series of vinyl releases which now includes four Patricia Barber albums and one Von Freeman album. This one was mastered for vinyl by the legendary Doug Sax, pressed by Quality Record Pressing, the new standard in high end audiophile pressing plants and comes in a deluxe, heavy cardboard jacket. Modern cool earned a coveted 5-star review from DownBeat and was awarded a 2013 Grammy Award for Best Surround Sound Album. Speaking of Patricia Barber's companion, yesterday vocalist-guitarist-songwriter extraordinaire Jason Narducy posted his remembrance of the companion live recording session at the Green Mill. Jason got one thing wrong however by suggesting that he was somehow not our first choice. Patricia wanted a rock-oriented vocalist for a new version of "Touch of Trash," which is not exactly an easy song: it's in an odd meter, has very challenging lyrics and is mostly wide open improvisation. We reached out to a number of people around the country -- famous and not so famous -- got a number of positive responses but Jason was the only one who really embraced the challenge. He took a leap of faith. This is something that only great musicians do. We were so happy to have him there and despite his supposed nervousness, he sounded fantastic. He nailed it. Thanks Jason. September 30, 2014 ... Thanks to TheEar.net, a highly respected audiophile publication, for their recent review of our new LP pressing of Patricia Barber's MODERN COOL. Awarding the release 5 stars withe the designation: Audiophile Vinyl “HOT PICK”, the review continues: "The vinyl delivers a presence in the room that is palpable, with a decent system you can dim the lights and be there in the moment. Premonition ‘s Barber recordings have always been top notch, but this remaster moves the goal posts – Doub Sax, for it was that master of mastering, has still got it. … Not many records sound this good, this wide open, dynamic and wide band. Barber is not the darling of the hi-fi fraternity just because of her finely nuances songwriting." (December 20, 2013). From yesterday's Chicago Tribune, this bit of positive vibration. Chicagoans should not miss an opportunity to hear this new band. We here at Premonition agree wholeheartedly. Patricia Barber, companion Double LP will make your favorite audio nut very very happy. THANKS Audiophiliac at cnet.com. (December 10, 2013) Thanks Audiophile Audition! For THIS. "Superb" is exactly the word we'd use to describe the work Doug Sax did for us on this release. This recording has never sounded better. Today, October 3, 2013, would have been Von Freeman's 90th Birthday (or is it 91?!). October 3rd was always a big day at the New Apartment Lounge with Von, his band and the New Apartment regulars. On that day, Von reigned supreme. So today, I'm putting on some of my favorite Von records, reveling in his sound, wondering at his creativity and thinking back on how good forever Von Freeman truly was. 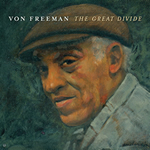 September 18, 2013: The Absolute Sound has just issued a wonderful review of our new LP, Von Freeman, THE GREAT DIVIDE. They gave it 4 stars (out of 5) for MUSIC and 5 stars for SONICS. It's not online so I can't link to it but here's what they said. Thanks Von Freeman and thanks Absolute Sound. Thinking about TC today. THIS is magnificent. From 1998's TimePeace (Verve Forecast). Thanks cnet.com (The Audiophiliac column), for THIS. It's gratifying to see such nice reviews come through for Von Freeman, an artist with whom we are very proud to be associated. So far Premonition has only issued one r2r, but it's a doozie -- Patricia Barber's cafe blue in the recent Capitol Studios remix! Wait 'til you hear "Too Rich For My Blood" on 15 ips tape! (An interesting note: this album was originally recorded 48kHz/16-bit digital -- the only title on this list that wasn't recorded on analog tape. And yet ... it has always sounded great on LP and now even greater on r2r. Go figure. We worked really hard to make our first r2r release something special. It's really great to get this type of recognition for our efforts. We're off to a great start. Thanks Audiophile Audition, for this. Somehow, we missed THIS. A beautiful, heartfelt tribute from son to father. April 6, 2013: The Village Voice said of this track, "Freeman is wrong - but wrong like Monk and Lester Young were, with the peculiar logic of genius." High praise indeed but we here at Premonition can't say we disagree. This track is on "The Great Divide," which we are releasing on vinyl next week. Re-mastered by the legendary Doug Sax with new cover art by Tim Anderson, this is sure to be one of our best of the year. Featuring Von Freeman, Jimmy Cobb, Richard Wyands and John Webber. March 10, 2013 ... With five albums on Premonition, there are many terrific Patricia Barber tracks to choose from as we once again re-visit Premonition's 20 years of putting out records. I chose this one for two reasons. First, it is a killer: Patricia in great voice, playing beautifully and the band, IMHO her best group, providing the kind of support found only at the highest levels. And second, because it was one take. Patricia counted it off and eight minutes later, we had this. No editing. No fancy production. Just pure, unforgettable music making straight from the heart. It's what I envisioned Premonition to stand for and then it happened. Thanks Patricia, Michael, John and Mark. John McLean is such a great musician. This tune, from his one (unfortunately) Premonition release, encapsulates John's thing: beautiful composition, searing guitar, flawless performance. Looking back on 20 years is pretty cool. February 10, 2013 ... Thanks to Jim Anderson and Darcy Proper for a great job on our release of Patricia Barber's modern cool in Surround. This was quite a surreal experience and a real honor for Premonition Records and Patricia Barber. That's me on the left trying to look calm. Today, January 23, 2013, Premonition announces its first analog tape release, Patricia Barber's cafe blue. Tape fans will be more than pleased with the production crew we've assembled. It sounds remarkable. You can read all about it HERE. It's been 20 years since Premonition's first release and I am continuing to trip the light fantastic through the catalog. Not that I ever stopped listening to the stuff but now I've got an excuse to post about it! Anyway, here is Robert Walter's fantastic "There Goes The Neighborhood." DownBeat called this album one of the "Top 50 All Time Soul/Jazz Recordings." Don't know about that but spending a week on the road with these guys was really memorable. Chuck Rainey talking about his days with Aretha. Phil Upchurch and Red Holloway reminiscing about the Chicago soul scene of the 1960s. It was almost worth starting a record company just to be there for that. Just realized 2013 is Premonition's 20th year in business. Woo Hoo! Going through some of the catalog and this one really got me. Composer/Bassist Drew Gress Inspired by "Stars and Stripes Forever." Produced by David Torn. 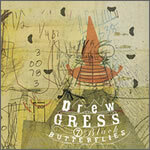 Premonition is fortunate to have worked with Drew on three albums. This is from "The Irrational Numbers." Von Freeman channeling Lester Young. Easily one of the best tracks in the Premonition catalog. Look for this one on 180-gram LP coming this Spring! THIS has just been posted by an old friend of Premonition, The Motion Devotion. It's from a particular interesting period in Von Freeman's career, a roughly 10 years stretch between 1977 and 1989 when he went unrecorded. "Young and Foolish" from 1977 is Premonition's absolutely favorite Von record, even above our own titles which are pretty darn good thank you very much. But boy is it a drag that nobody had Von in the studio during this time. This gem is something else. And features the truly under-recorded master pianist John Young, also playing just great. Wow! Maybe I should go out of town more often. This morning came the great news that our Surround Sound release of Patricia Barber, modern cool was nominated for a 2013 Grammy Award for "Best Surround Sound Album." We're all verklempt over here. Congrats to Mix Engineer Jim Anderson and Mastering Engineer Darcy Proper on a job well done. There is some stiff competition for the actual award so we'll see how that goes but right now, we're really honored to have been nominated. The List. Unfortunately, we will not be able to ship orders for the next week or so. The store remains open but if you order physical product, it will not ship until December 8th or soon thereafter. Sorry about the inconvenience. November 9, 2012 ... Still thinking about Terry Callier. This is deep. Beautiful and inspiring too. Terry's Cadet recordings from the 1970s, produced by Charles Stepney, will never be equaled or forgotten. Loved THIS tribute to Terry Callier from the BBC. Giles Peterson is the person who is primarily responsible, along with Chuck Mitchell, for bringing Terry back in the late 1990s. They're both heroes as far as we're concerned. Scroll to the 21:50 mark for the portion on TC. We were so happy to see THIS heartfelt tribute to Terry Callier posted this afternoon by its author, Lloyd Sachs. The piece was originally published, along with a big beautiful picture of Terry and Sunny, in the Chicago Sun Times as part of the promotion leading to the record release performance for TC in DC at the Old Town School in late 1996. I remember it well because the day after it appeared, the show, Terry's first Chicago appearance in decades, went from half sold to sold-out in a matter of hours. Apparently nobody knew that Terry was back and performing and then suddenly everyone had to be there. But that's how it was with Terry. His fans, we here at Premonition included, adored him. We like this write up on our friend TC. Today, October 28, 2012, brought some more very sad news for Premonition Records. Terry Callier, one of our very favorite artists of all time, has passed away. Although Premonition is but a blip in Terry's impressive discography, the recordings of Terry's we released were significant to him and to us. Two of our recordings were actually dry run, demo type sessions that directly preceeded Terry earning recording contracts. "Live at Mother Blues" was done just prior to "The New Folk Sound of Terry Callier" (Prestige) with the same band as on that record. Two bass players ("Like Coltrane," said Terry). "First Light" includes most of the material that would appear on Terry's first Cadet album, "Occasional Rain." "TC in DC" was one of the last gigs Terry did before retiring from music in 1981 to raise his daughter. For us, putting out these records was simply a joyous thing. Terry was a legend, a mystic, a deep, thoughtful, interesting, spiritual friend. He will be greatly missed. R.I.P. TC. Stereophile's Recording of the Month for October, 2012 honors two of our recent releases: Patricia Barber's nightclub on 180-gram LP and Patricia Barber's modern cool on Blu-ray. The write ups are wonderful and a real tribute to engineer Jim Anderson and mastering engineers Bob Ludwig, Doug Sax, Darcy Proper and David Glasser. Way to go TEAM! We'll post a link as soon as it's online. Tonight (8-27-12) in Chicago there will be a memorial for Von Freeman. Thinking about Von this morning, I came across the first feature article ever written about him. It was a 1973 cover story in the Chicago Reader by Chicago jazz critic Neil Tesser. It's spectacular and a real tribute to the man we know here at Premonition. Enjoy. Celebrating an amazing life. We here at Premonition sure wish we could be in Chicago for this. MODERN COOL AMONG TOP BLU-RAY RELEASES OF THE YEAR! The great Vonski has passed. We here at Premonition are grateful to have known him, loved him, recorded him. Von was something very special. A gifted artist and a wonderful mentor. He will be missed by fans at home and around the world. There are wonderful and informative obits in The Chicago Tribune, NPR.org and The New York Times, among others. Thanks Audiophile Audition. For this. MODERN COOL DUAL LAYER BLU-RAY SET FOR RELEASE! Patricia Barber’s modern cool hit like a thunderbolt when first released back in 1998. The album received a coveted 5 star review in DownBeat Magazine and was included in a survey of “Top 100 Albums of the Century” by Rolling Stone/Germany, among other accolades. The response, and subsequent worldwide touring, let to Barber’s signing to Blue Note Records one year later and led the New York Times to say: “Barber’s art is the kind of art we need to pay attention to.” Now, Premonition releases a high resolution, dual layer Blu Ray of this miraculous album. Included are a 5.1 Surround remix (24/96 kHz) by original engineer Jim Anderson and the original 2 track Stereo masters here in 24/192 kHZ for the first time on disc. The surround remix is stunning, revealing detail never before heard. The high resolution 2 track masters shed new light on the originals. Sure to be a hit with Blu Ray owning music fans, this release utilized the Pure Audio system, a new technology that allows consumers to operate the disc using the on-screen menu navigation or by remote control without a TV screen. Playable on all Blu Ray players. Music Only. 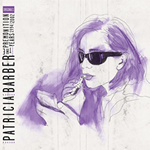 PATRICIA BARBER NIGHTCLUB 180-GRAM LP Now Available! Our newest LP re-issue, Patricia Barber, nightclub, comes courtesy of the same team that worked on the cafe blue LP. Bob Ludwig did the mastering. Doug Sax cut the lacquers and Jim Anderson, the album's original engineer, supervised this newest issue. Includes bonus material in the same, high end jackets as cafe blue. We're confident you're going to like this one! 33 1/3 RPM, Double LP. To Purchase, click Here. FYI, we are once again fully stocked on the cafe blue LP. To order, you know what to do. 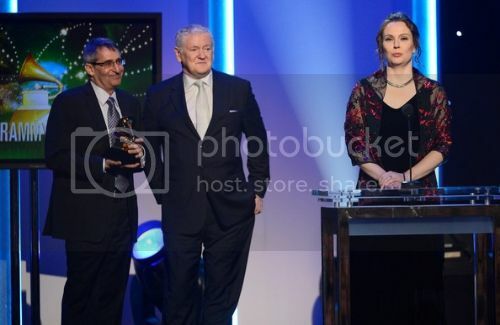 A beautiful ceremony honoring the 2012 NEA Jazzmasters was held last week. Check out this video starting at the 39:30 mark. It's wonderful to hear the legendary Benny Golson expound on the greatness of Vonski! Check out this beautiful video tribute to Chicago tenor sax giant Von Freeman from the folks at the NEA Jazzmasters Program. Just wonderful! Congrats again Vonski. We regret to say that we are temporarily out of stock on Patricia Barber's cafe blue 180-gram double LP. The item is still available at our U.S. distributor Music Direct and from many other distributors around the world however. If you are outside the U.S., send us an email and we'll direct you to a proper distributor. "A REISSUE DONE EXQUISITELY RIGHT!" We've had some wonderful write ups on our new LP release of Patricia Barber's cafe blue. Check them out: Here. Here. Here. You can order your copy of Patricia Barber's first Premonition recording, cafe blue, available for the first time from Premonition Records on 180-gram, Double LP (33 1/3 RPM) by heading over to the cafe blue page in the MUSIC section of our store. This is an offer we are incredibly proud of. Completely remixed by the original engineer, Jim Anderson, at Capitol Studios, Hollywood, CA. Remastered by Bob Ludwig at Gateway Mastering. Lacquers cut by Doug Sax at the Mastering Lab, Ojai, CA. And pressed by RTI, Camarillo, CA. This is truly an all star team of LP production! Also includes new liner notes by Jim Anderson and me (Michael Friedman) in a beautiful new gatefold jacket. We are confident this is something audiophiles and vinyl lovers in general will appreciate. A great story up about Von Freeman at NPR.org. Check out the article here. VON FREEMAN A 2012 NEA JAZZ MASTER! Congrats Vonski from your friends here at Premonition Records! The National Endowment for the Arts will announce the latest recipients of its Lifetime Honors today, including the last foreseeable class of NEA Jazz Masters. The Jazz Masters distinction, which will celebrate its 30th year, recognizes living musicians for career-long achievements. The 2012 NEA Jazz Masters are drummer Jack DeJohnette, one of the most sought-after musicians for decades; saxophonist Von Freeman, known also for his mentorship of musicians in Chicago; bassist Charlie Haden, a composer with broad stylistic interests and educator of renown; vocalist Sheila Jordan, a distinctive singer-songwriter who has taught many; and trumpeter Jimmy Owens, who receives the A.B. Spellman NEA Jazz Masters Award for Jazz Advocacy largely for his work with the Jazz Foundation of America. Everyone in the new class of honorees receives $25,000, and will be recognized in a concert and ceremony at Jazz at Lincoln Center in January 2012. We just completed remixing Patricia Barber's cafe blue for 180-gram LP. The session took place at Capitol Studios in Hollywood. I am blown away by the results and I cannot wait release date, which is as yet to be determined but probably sometime in late July/early August. Stay tuned for more details. There's a cool, new feature up on National Public Radio's music web site. It's called "Patricia Barber: When Life Gives You Pop Songs." It features five of the Pop Song covers Patricia recorded during her Premonition Years. You can check it out here. As of Friday 6/20/08, musicstem.com, our previous store home no longer exists. We are in the process of transferring all username and login information to make musicstem.com accounts active here. It will take about a week. If you need immediate access to your downloads, please send us an email and we'll get you set up. Thank you for your patience during this transition. As you may have noticed, we've just redesigned the site. We look forward to your comments with fingers crossed that you like what you see. We continue to work hard to support our two new Box Sets from Patricia Barber and Von Freeman as well as the brilliant "The Irrational Numbers" from bassist Drew Gress. The press has had good things to say about each of these releases. If you go to Patricia, Von or Drew's Artist home page you can check out some of the response. Otherwise, we are soon to release an album called "Patricia Barber Remixed." Did you ever wonder what Patricia would sound like backed by a take-no-prisoners rock band? We did. And now we know. The remixes were done by Glenn Stella, a great guitarist and friend of Premonition.